Success! I believe I have said before that this really is my favorite Tarot card of the whole deck, not just this depiction, but in any deck. When you think of life, and various forms of fulfillment, which feels better to you? Financial, emotional, mental, or passion, if that is how one chooses to define Pentacles, Cups, Swords, and Wands, then I would choose Cups any day. After all, when we have emotional fulfillment, the others do not seem to matter as much. Let that sink in for a minute. Today represents something, whether big or small, which allows you to see your cup of life as overflowing, opening up the five senses, and filling you with positive emotions. In this Meme-driven world in which we live, mine would have to say, “It is not about whether the cup is half-full, or half-empty, the cup can always be refilled. Enjoy your day and be prepared to receive any Divine Intervention which the Universe is sending your way. 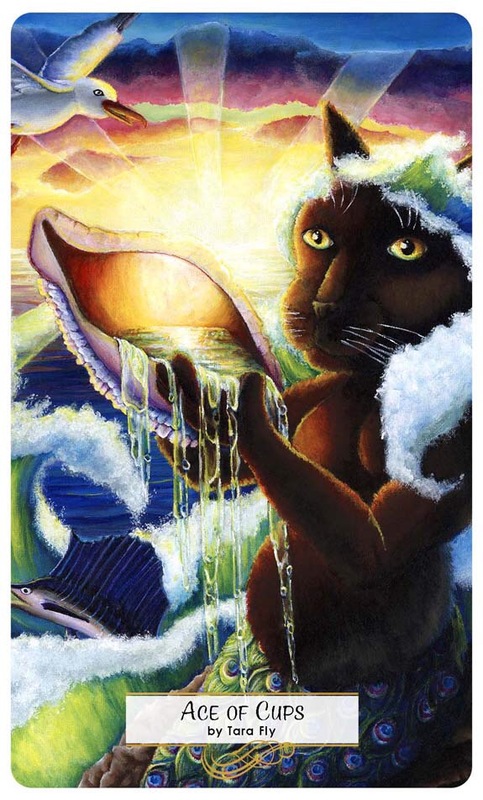 This entry was posted in Artist, Card of the Day, Deck Review, General Tarot, Patreon, Readings, YouTube Videos and tagged Ace of Cups, Guidance, Path, Reading, Tarot.